There were so many entries again last week - so lovely to see so many joining in. I hope panic is beginning to set in as Christmas is getting closer, but what better way to get prepared than joining in challenges that encourage you. I hope today's new challenge will help you to make cards for the special people in your life rather than leave them to the last minute. Please remember to have a look at my CHNC page on facebook - if you do go there please join in by clicking 'like' so that I know that you've been there. During the week you'll find updates and hints of the next challenge - please feel free to chat there - I know that some of you do already - thank you. It's great that we now have more than 100 likes - let's see if we can spread the net wider before the end of the year. Congratulations, Norma! 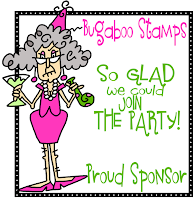 Please email me at hazelharris@ntlworld.com so I can arrange for you to receive your five digital stamps from Robyn'sFetish Digital Stamps And More. Now it's over to you. 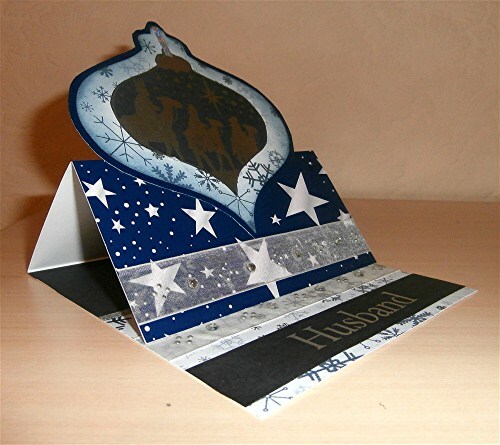 As usual, you can use any materials, any techniques, as long as the end result is a Christmas card - and this week please make make any Christmas card you like as long as it is for someone special. 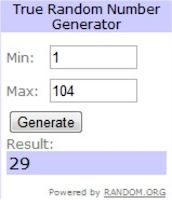 I look forward to seeing what you come up with for this challenge - please add a link to your blog post (not your blog, but the actual post where your card can be found) by 22:00 UK time Friday 30 November. Please mention my blog and create a link within the post for your creation. A new challenge will be set on 1 December. Please click on the link for details and continue to spread the word. 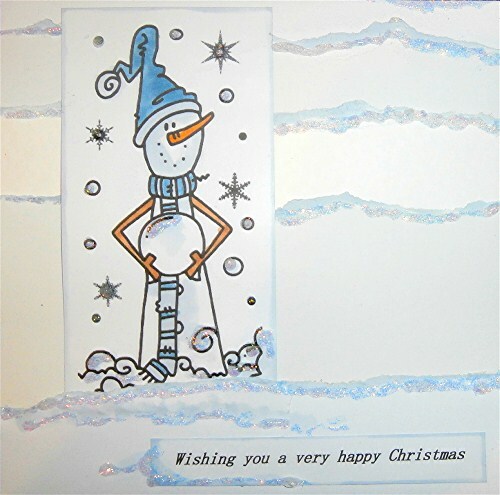 From 1 January 2013 there will be monthly 'anything goes' challenges (Christmas, of course) - an opportunity to share all of your Christmas cards that you make through the year, with a chance to win some Bugaboo stamps as there will be a randomly-chosen winner at the end of every month. Weekly challenges here will, of course, continue in the new year as usual. Can you believe that this week sees the start of CHNC challenge 99 -it will soon be two years since I started this blog - thank you so much for all your contributions - without your entries the blog would cease to exist. And what a lot of super creations there were for last week's challenge - I so enjoyed looking at them all. 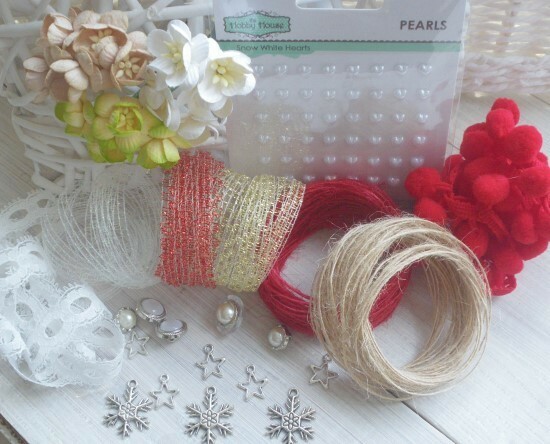 Please don't forget that I have now launched Craftyhazelnut's Christmas Challenge Extra blog - until 30 November there is a chance to win some Christmas blog candy - please go over there, become a follower, give it a mention on your blog and join the linky for a chance to win the candy. 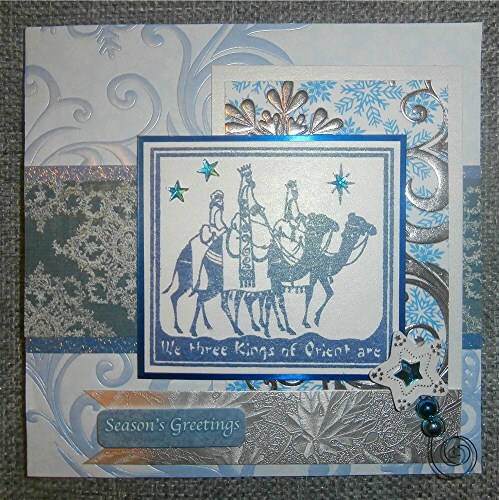 From 1 January 2013 there will be monthly 'anything goes' challenges (Christmas, of course) - an opportunity to share all of your Christmas cards that you make through the year, with a chance to win some Bugaboo stamps as there will be a randomly-chosen winner at the end of every month. Please remember also to visit my CHNC page on facebook - if you do go there please join in by clicking 'like' so that I know that you've been there. During the week you'll find updates and hints of the next challenge - please feel free to chat there - I know that some of you do already. Thanks for new 'likes' - nearly 100 now! Congratulations! 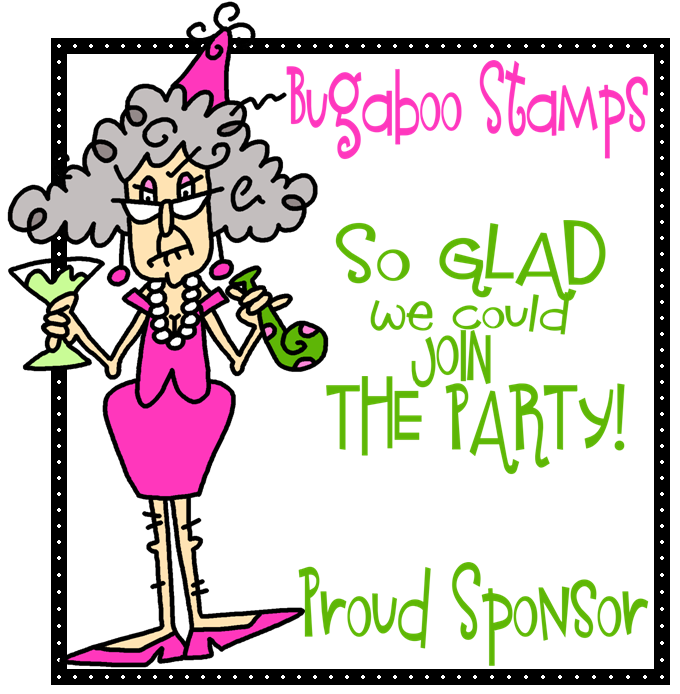 Please email me at hazelharris@ntlworld.com so I can arrange for you to receive your your $21 worth of digital images from Bugaboo Stamps. Robyn'sFetish Digital Stamps And More is proud to sponsor this challenge. For my card I used the 'gilded Christmas dove' image kindly supplied by the sponsor, Robyn'sFetish Digital Stamps And More. You can read more about my card here on My Crafty Outlook - apart from the image, everything else used for the card is at least six months old (in fact, most of it is a lot older than that). Now it's over to you. 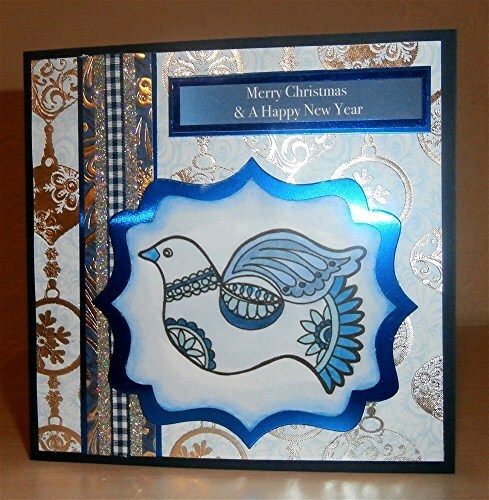 As usual, you can use any materials, any techniques, as long as the end result is a Christmas card - and this week please make make any Christmas card you like as long as you use something that is at least six months old and tell us what it is. I look forward to seeing what you come up with for this challenge - please add a link to your blog post (not your blog, but the actual post where your card can be found) by 22:00 UK time Friday 23 November. Please mention my blog and create a link within the post for your creation. A new challenge will be set on 24 November. What a lot of super entries once again last week. The big bonus of running this challenge blog is the opportunity to see so many different interpretations of the challenges and to be inspired by your crafting - thank you, everyone, for taking the time and trouble to link your entries. Please remember to have a look at my CHNC page on facebook - if you do go there please join in by clicking 'like' so that I know that you've been there. During the week you'll find updates and hints of the next challenge - please feel free to chat there - I know that some of you do already - thank you. Let's see if we can get at least 100 'likes' by the end of the year. Please don't forget that I have now launched Craftyhazelnut's Christmas Challenge Extra blog - until 30 November there is a chance to win some Christmas blog candy - please go over there, become a follower, give it a mention on your blog and join the linky for a chance to win the candy - you've got to be in it to win it! Congratulations, Vicky! 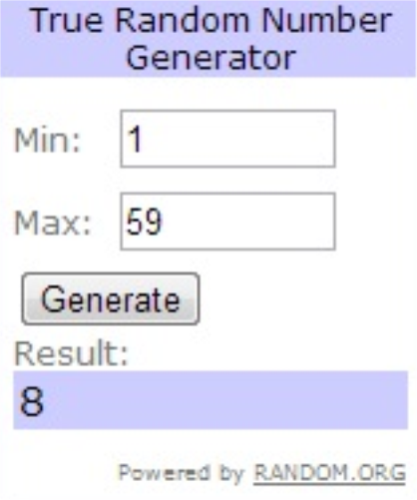 Please email me at hazelharris@ntlworld.com with your name and full address so I can arrange for you to receive your prize from Crimson Cloud. Now it's over to you. 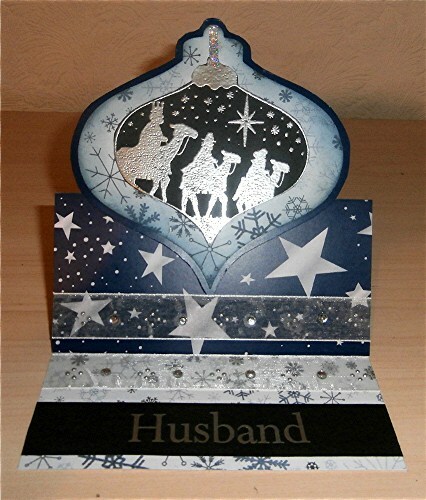 As usual, you can use any materials, any techniques, as long as the end result is a Christmas card - and this week please make make any Christmas card you like as long as it's suitable to give to a man or a boy. I look forward to seeing what you come up with for this challenge - please add a link to your blog post (not your blog, but the actual post where your card can be found) by 22:00 UK time Friday 16 November. Please mention my blog and create a link within the post for your creation. A new challenge will be set on 17 November. I can remember a time when I hardly ever used patterned paper, but in recent times I've accumulated so much of it and love it, but it sometimes makes a change to craft without it and it certainly was good to see the techniques and materials that were used for last week's challenge 96 which proved that we don't always need to rely on patterned paper - I so enjoyed seeing all your entries - and wonderful that there were so many. Congratulations, Tracey! Please email me at hazelharris@ntlworld.com with your name and full address so I can arrange for you to receive your prize from Creative Craft World. Last week I was asking you not to use patterned paper; this week, I'm asking you to use at least three different patterned papers. 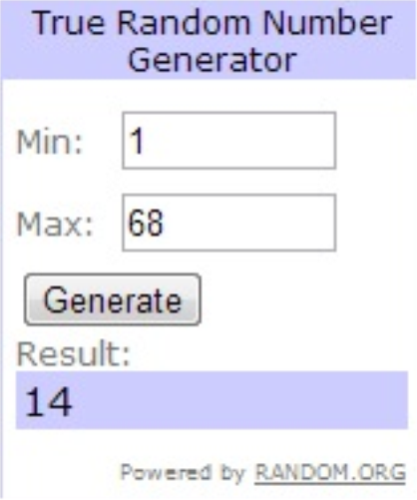 This challenge is being sponsored by Crimson Cloud. 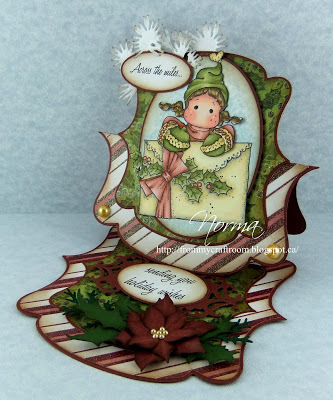 Here is my first card for this challenge - you can read about it here on My Crafty Outlook and see the sketch that I followed - I've used the same stamp as I used for a couple of cards for last week's challenge, but, hey, I like it, so I thought I'd use it again. Now it's over to you. 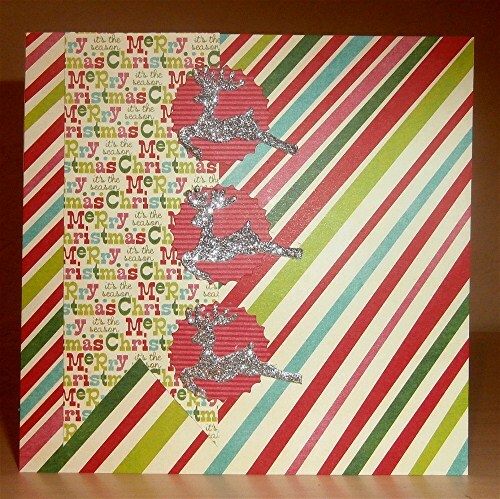 As usual, you can use any materials, any techniques, as long as the end result is a Christmas card - and this week please make make any Christmas card you like using at least three different patterned papers. I look forward to seeing what you come up with for this challenge - please add a link to your blog post (not your blog, but the actual post where your card can be found) by 22:00 UK time Friday 9 November. Please mention my blog and create a link within the post for your creation. A new challenge will be set on 10 November.